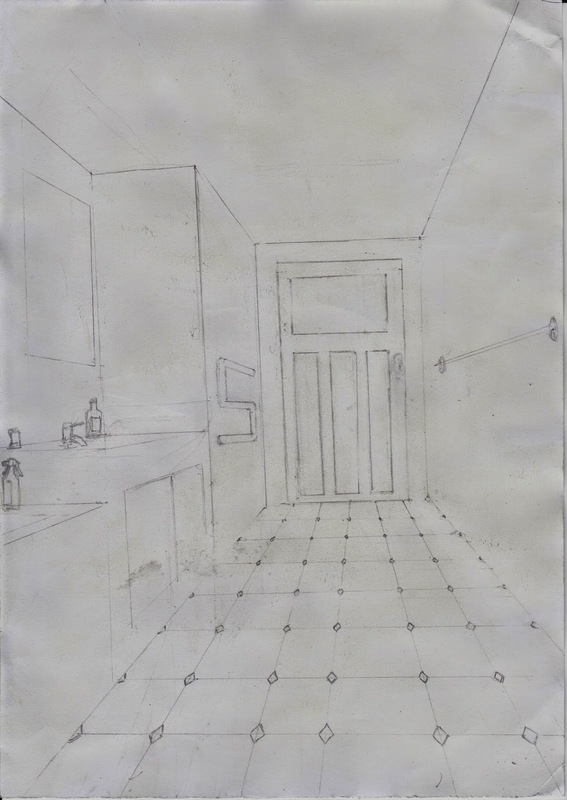 Preliminary sketch of a Bathroom. For watercolour. Landscape with study of horse skull.